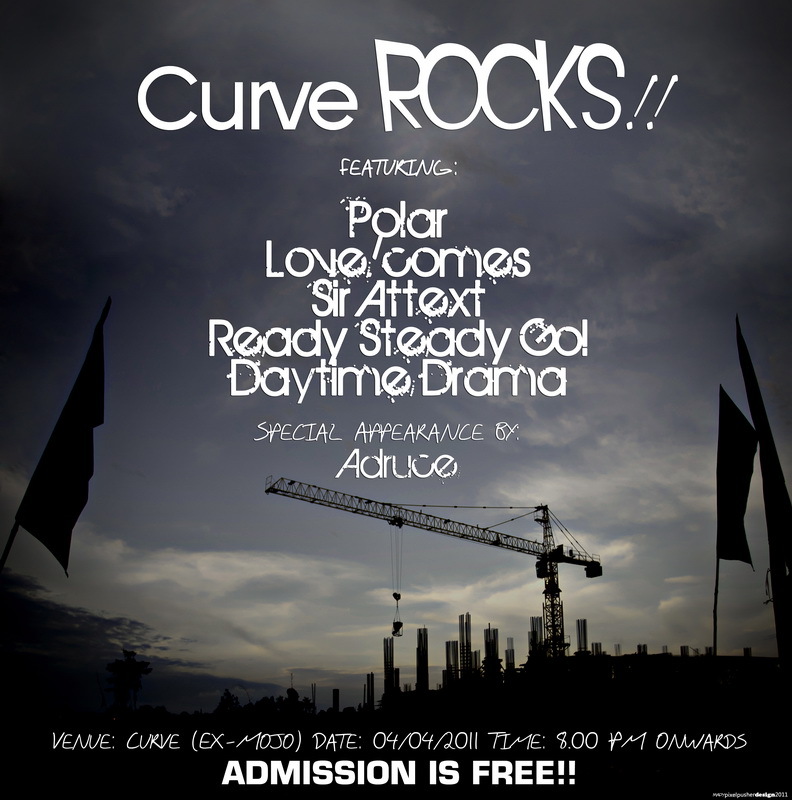 Curve Rocks! a New Movement in The Sarawak Scene? People in semenanjung are aware of how bands are plenty in the East Malaysian state of Sarawak, and we over in West Malaysia definitely know of some really, really good ones too. Though the sad truth is, gigs are such a rare occasion over in Borneo, especially one with a lineup as interesting as this Monday’s Curve Rocks!. A joint effort by the bands on the roster themselves, these guys truly believe that the stage you play on is as big as how you build it. Spending their time mostly writing, rehearsing and recording, bands in Sarawak are always eager for a gig, especially one fitting their tastes and style. What better way to play in such a gig than to host and organize it yourselves with other likeminded musicheads eh?. A solid lineup of good ol’ indie rock infused with the bands’ own respective styles, checkout FB pages of the completely Kuching based (sometimes bands over on that side do travel in and out into other provinces like Sibu or Miri to play) lineup consisting of Polar, Love/Comes, Sir Attext, Readysteady GO and Daytime Drama. Faiz is the Audio Director for The Wknd. He also freelances as a producer and recording/mixing/mastering engineer.